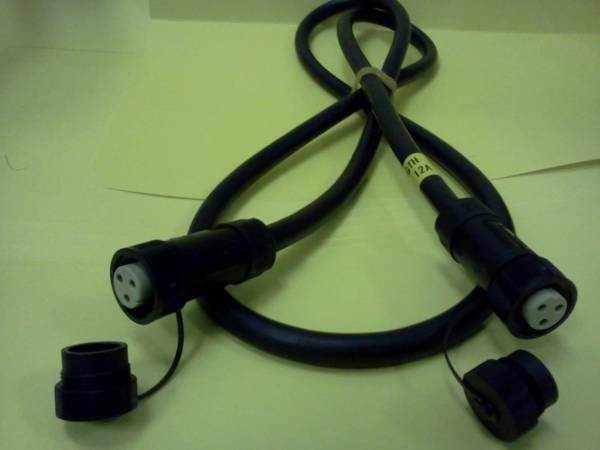 Custom made Extension cord/ $5.99 per foot | KEMF Inc. Outdoor heated anti-slip mats. HOTflake is sealed and waterproofed in molded virgin rubber. Anti-slip heating unit, designed for both residential and industrial use, with screw connectors ensuring safe secure connections between each unit: Connect up to 10 stair treads (120V), Connect up to 15 stair treads (240V), Connect up to 4 large Walkway/driveway mats (120V), Connect up to 8 large Walkway/driveway mats (240V), GFCI cable connector for optimal safety and efficiency. TUV Rheinland approved. Available connections: male/male, female/female or male/female.